Product code: N40 Categories: Children, Cotton, iLiv, Luxury Fabric, Multi-coloured. 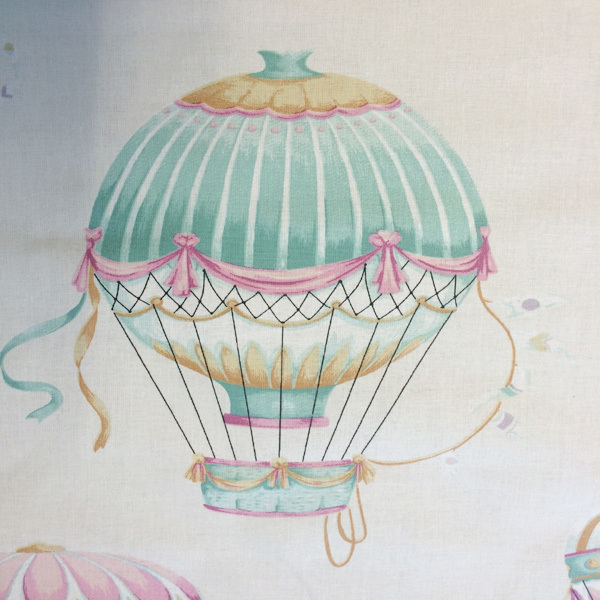 Aqua Balloons by iLiv is a light, fun and fresh fabric from the Floral Pavilion collection. 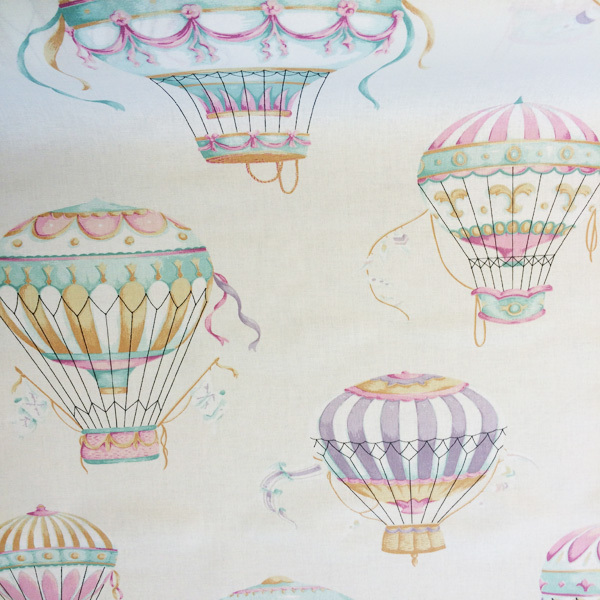 A white 100% cotton fabric with feature vintage hot air balloons floating up, up and away. The shades of aqua, pink, lilac and golden yellow add to the lightness and brightness of this fabric. This fabric looks beautiful made into drapes. Equally, this fabric could be used to make a pretty blind, an accent cushion or bed canopy.